The healthcare industry requires a vast array of medical equipment to provide the necessary care to patients -.this equipment can range from the highly specialised to the more basic items such as a BP Monitor. Philippine Medical Supplies have a wide selection of basic medical equipment and supplies available on its website. Sphygmomanometers,or BP Monitors, are used in most facilities in the healthcare industry. They are used to measure the pressure of blood flow, using an inflatable cuff to collapse and then release the artery under the cuff in a controlled manner. The pressure is then measured, using mercury or a mechanical manometer. The range available at Phil Medical Supplies includes digital blood pressure monitors such as the Digital BP Omron monitor. Digital monitors are able to record measurements in their memory, storing the test data as well as date and time. This helps to provide a record of previous tests taken. Another very commonly used piece of medical equipment found in the healthcare industry is the stethoscope. Stethoscopes are pieces of medical equipment used to listen to internal organs in the body. They are mostly used to listen to breathing or the heart’s action. The design is common – a circular disk-shaped resonator which is placed against the body, and two rubber tubes which are connected to earpieces which are placed in the ears to listen to the body sounds. As an alternative to taking a blood sample to measure the oxygen saturation levels in the blood, a Pulse Oximeter can be used. These devices work by attaching a sensor to the body, usually to a finger, toe or the ear. This sensor measures the oxygen saturation in the blood flowing through the capillary network. It has the benefit of providing quicker results than blood tests, and does not require any needle to be inserted into the body. Glucose monitors are used by those suffering from diabetes and hypoglycemia. A small drop of blood is obtained by pricking the skin with a lancet, and this droplet is placed on a special strip that the glucose monitor can read. The monitor provides an accurate measurement of the blood sugar level. For healthcare professionals who are required to visit patients at home, an OB bag is an essential piece of equipment. This bag can hold all of the necessary equipment and supplies that may be needed for the home visit. It has a wide capacity to hold everything required, including a variety of pouches and compartments. Philippine Medical Supplies offers both a hand carry and shoulder carry type. If you would like to see the range of medical supplies and equipment available at Philippine Medical Supplies, please visit the website. The healthcare industry has a very wide and varied range of equipment required to be provided, including some basic but essential equipment such as the wheelchair. Philippine Medical Supplies are a medical supplies and equipment specialist, offering a range of products on their website. Anyone who has had to visit a hospital, clinic or any other type of medical facility, will almost certainly have seen wheelchairs in common use. These wheelchairs are used to transfer patients within the facility, or for patients who have mobility issues that prevent them from walking themselves. These wheelchairs come in a range of sizes depending on patient’s needs and requirements. They can be lightweight styles for use in specific situations, and these are particularly beneficial for patients and carers who may have limitations when handling standard wheelchairs. In addition to having both lightweight and standard models, wheelchairs can also come with in-built commodes. Also, some models are available which can recline, and these reclining wheelchairs are often more comfortable for patients spending prolonged periods of time in them. They sometimes have a commode built in to provide maximum comfort and convenience. As well as wheelchair commodes, there are also available standard commode chairs. These chairs provide patients, and other users, with a degree of independence in terms of taking care of their basic toilet needs. These types of chairs come with a commode installed either under a cushion, or without a cushion. In addition, some have wheels for greater portability. Phil Medical Supplies have all of these types available. For the elderly, or those who have mobility issues that prevent them from walking unaided, a walker is a piece of equipment that can help users gain much greater independence by enabling them to get around by themselves. These walkers are available in a variety of designs dependent on the requirements of users. They even come with seats to provide an added level of flexibility and usefulness. To make transportation and storage more convenient, some models can be folded. A variation on the walker design is the rollator. This special type of walker has front wheels to make getting around more convenient for those users who are able to benefit from their function. administered. Of course, they can also be used in the home to provide accurate weight monitoring. If you required any medical supplies or equipment, please visit Philippine Medical Supplies to view the full range. For most patients in a medical facility, there will be a need to take some form of medication, and a nebulizer is often used to facilitate the taking of medication by patients suffering from conditions such as cystic fibrosis, asthma, COPD and other respiratory conditions. They work by changing liquid medicine into a fine mist that can be inhaled into the lungs. Phil Medical Supplies have a range of nebulizers available. When doctors prescribe oxygen as part of medical treatment, a number of pieces of equipment may be necessary, including the oxygen tank itself, as well as an oxygen regulator and possibly an oxygen concentrator. Again, Phil Medical Supplies can provide such items from their website. Oxygen tanks for medical applications must be cleaned and passed as being suitable for medical use. They should be painted with safety grade paint which should be able to provide heat detection. An easy clean finish is also a requirement. They can come with a variety of related accessories, including carts for easy transportation. Covers can also be bought to cover the tank when not in regular use. The oxygen regulator is supplied in order to regulate the supply of oxygen to the patient. They work by regulating the supply of oxygen from the tank to a level that is safe for patients to use. An oxygen concentrator is often used at home by those who require greater concentrations than is available in the air. These concentrators come in variety of sizes dependant on the level of portability required. Facemasks are worn by people in a wide range of industries, anywhere that requires a protection against airborne particles They come in two basic styles, a tie style and a face mask earloop style. Both types are available from Phil Medical Supplies. They should have a high bacteria filtration level to afford suitable protection for wearers. As well as the above types of facemask, there is also the N95 Facemask available. These facemasks are designed to offer a higher level of protection than standard facemask, and must be able to block at least 95% of small particles (0.3 micron.) They offer a very close fit and efficient filtration of airborne particles. The above is just a small representation of the wide range of medical equipment and supplies available on the Philippine Medical Supplies website! All medical facilities, be they public or private, require an array of specialist medical equipment and supplies, from humble latex gloves to the most technologically advanced pieces of specialist equipment imaginable. Philippine Medical Supplies have an extensive range of the most popular medical equipment and supplies required by healthcare professionals, or individuals with a need for such equipment. Latex gloves are a basic requirement for all healthcare facilities, and are used in a wide range of other industries as well. They are also found in many homes. Latex gloves provide better elasticity than nitrile, and greater puncture resistance than vinyl. They offer protection against a wide range of substances. Chromic sutures, or stitches as they are more commonly known, are absorbent and sterile, and made from purified connective animal tissue. They are used in the medical profession for soft tissue and ligature applications. Whilst they provide effective wound support for between 10 and 21 days, they can take up to 90 days to fully dissolve. Dental Lidocaine is used in dentistry as a local anaesthetic. Lidocaine is used now as a common replacement for the previously popularly used Novocaine. It’s half-life in the body lasts about 1.5 to 2 hours. The liquid is usually rubbed into the gums or cheeks to numb the mouth prior to dental treatment. Another basic consumable found in a wide range of healthcare facilities is micropore tape. It is commonly used to dress wounds and secure medical tubing. It can help in reducing post-operative scar formation. Its composition helps the skin breathe, whilst protecting it from stenting. Stenting occurs when a wound pulls the skin, resulting in a thick scar. micropore tape has the added benefit of being more easily removed than some other adhesive tapes, and leaves less sticky residue. Castor oil is a natural product, derived from the Castor seeds. It is used in a variety of industries; in cosmetics, textiles and as a massage oil amongst many others. In the medical industry, it is a laxative, a cathartic and a purgative medicine. Adult Diapers are another of the basic consumable items you are likely to find in most healthcare facilities, as well as in other establishments such as care homes for the elderly or similar places. Adult diapers are required by those suffering from mobility issues that make going to the toilet difficult, as well as sufferers of incontinence, dementia or severe diarrhea. If you have a requirement for medical equipment or supplies, please visit the Philippine Medical Supplies website to view the full range available. 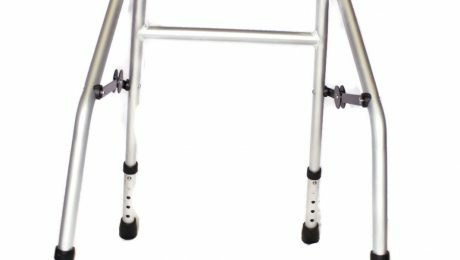 For those who require some form of assistance while walking, the walker is one of the most popular mechanical aids available. 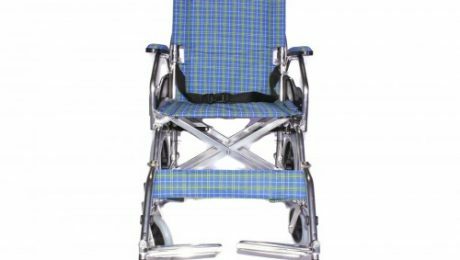 These walkers come in a range of sizes and designs to suit all users, some with an in-built seat. Walkers come with four legs for stability, and there are also some that come with wheels at the front, known as a rollator. To enable easy storage and provide portability, some are foldable, making them easy to transport from place to place to ensure maximum flexibility for users. Phil Medical Supplies have a range of different types of walker available, including rollators. Another key piece of medical equipment is the spine board. These boards are used mostly in pre-hospital trauma cases, and are used to handle patient transportation for patients with suspected limb or spinal injuries. They are used by ambulance staff, as well as lifeguards and ski patrollers as these are the people working in the places where spine and limb injuries are most prevalent. As well as for medical purposes, they used to be also used to improve the posture of young girls. However, due to the lack of compelling medical evidence of any benefits, the latter use is becoming less popular. Even for use in medical applications, it is recommended patients be transferred to more comfortable beds as quickly as possible. Phil Medical Supplies have a model available with a headrest immobiliser and safety straps. Additionally, it can float on water. IV stands can be found in a whole host of facilities within the healthcare industry, including hospitals and clinics. They are used to facilitate the easy administration of various fluids through IV drips. They come in various designs and style, some with fixed legs and others with wheel legs. They can have a number of different hook formations, dependent on individual needs. All share the same low centre of gravity design to prevent them falling over in use. The IV stand available from Phil Medical Supplies is a four-hook and five-wheel model, coming in a chrome plate material. The wheels are lockable to provide even greater stability in use. Knee supports are popular for both medical and sporting applications. They provide support for the knee, which makes them great for those who play sports, including basketball, football and rugby. As well as for those who participate in sports, knee supports are used in a variety of medical applications, including post-operative uses and to provide additional support for patients suffering from knee ligament and other injuries and conditions. The range of styles available is extensive due to the range of applications, with Phil Medical Supplies having a wide selection of supports available. The tourniquet is a widely used type of bandage. It is used to provide constriction and compression to control the flow of blood through veins and arteries to extremities for a particular period of time. They are commonly use in emergency situations to reduce blood loss in cases of cuts and wounds. If you have a particular medical equipment or supplies need, Philippine Medical Supplies has an extensive range available on its website. The healthcare industry has a requirement for a large variety of specialist equipment, including Abdominal Binders – Phil Medical Supplies being one of the biggest suppliers of medical equipment and supplies to the healthcare industry, as well as other organisations and individuals with a requirement for such equipment and supplies. Abdominal Binders are used in the early post operative stages of recovery for patients who have had surgery such as abdominoplasty or abdominal liposuction. They are also used by women in pregnancy or after giving birth. They provide support and compression for the upper and lower abdomin and are essential parts of the healing process. The Cervical Collar, or neck brace, is another piece of medical equipment essential to the recovery of patients. These collars are worn by people who have suffered some form of neck trauma, and are also used by emergency personnel to protect the neck from further injury whilst patients are being transported to hospital following accidents. In addition, they are commonly used to treat chronic neck problems. A colostomy is surgery whereby a surgeon diverts one end of the large intestine into an opening in the patient’s abdomen. A small pouch, or bag, is then placed over the stoma to collect body waste that would otherwise have been ejected when going to the toilet. This pouch is known as a Colostomy Bag. An OB bag is a bag used by nurses or other healthcare professionals when out visiting patients in their homes. Phil Medical supplies have an OB Bag Set available in both a square carry type and a sling type. These bags come with multiple compartments for easy storage and retrieval of the necessary equipment. The Bouffant Cap is a cap required to be worn by those working in an environment that requires the highest degrees of hygiene. This includes the food industry, the healthcare industry, high-tech industries as well as a variety of others. These caps help prevent hair falling out onto surfaces and other things that could be contaminated by the fallen hair. Another staple item required to be worn in the healthcare and related industries is the Laboratory Coat or gown. These gowns are worn over normal clothing to protect from spills and stains that may occur working with chemicals and other substances. If you are in the healthcare profession, or in another industry that requires medical equipment and supplies, or are an individual with a need for such equipment and supplies, please view the Philippine Medical Supplies website at to view the full range. For professionals in the healthcare industry, a drug testing kit will be a familiar item. These kits can be used to identify a wide range of drugs in the body, including both legal and illegal substances. The range of drugs identifiable varies according to individual kit’s specifications, with Phil Medical Supplies supplying two types of kit able to identify multiple drugs and metabolites in the body through a urine test. 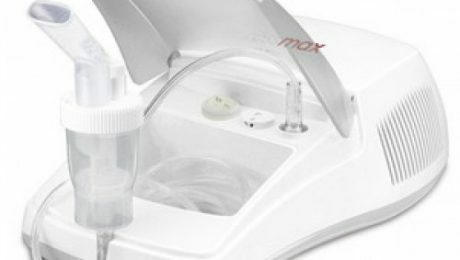 Other very common pieces of medical equipment found in healthcare facilities are a sterilizer and an autoclave. In addition to healthcare professionals, these pieces of equipment can be found in dental practises, beautician shops, tattoo studies and anywhere that requires to clean equipment to avoid transmitting germs from person to person. Both autoclaves and sterilizers perform the same function, to clean equipment, but the process is different. An autoclave uses steam for the sterilizing process, whereas a sterilizer many use a variety of other elements to carry out the sterilization process. Ultimately, the end result is the same , perfectly sterile and safe equipment. Phil Medical Supplies have a range of both types of equipment available. All medical students will be very familiar with the dissecting set. These sets are used for the dissection of animal and plant organisms. They vary in contents, but often include a variety of tools such as scissors, spatulas, scalpels, different types of needles, forceps, tubes and a ruler. A vacutainer is a glass tube with a colour coded rubber stopper used to facilitate the collection of blood samples. The rubber stopper creates a vacuum, thereby guaranteeing the integrity of the sample contained within. The colour of the stopper is coded to indicate the blood additive in the sample tube. A set of bathroom scales is an essential piece of equipment for those looking to lose weight, or those who are simply interested in managing their weight. These scales come in a range of styles and designs, including cartoon designs. They are either mechanical or digital. Both types can be found on Phil Medical Supplies website. The range of medical supplies and equipment available varies according to specific user requirements, with many items used not only in the healthcare industry but in other types of organisation and even in homes. If you would like to see the full range of medical supplies and equipment available at Philippine Medical Supplies. The medical supplies like sterile gauze pads and other equipment industry services both public and private organisations in the healthcare sector, as well as private individuals with a need for the specialist items available. Phil Medical Supplies are able to supply all the different groups of customers with a vast range of supplies and equipment. As well as the more specialised supplies needed by healthcare professionals and private individuals alike, there is also a demand for consumable products for more general use. Compression stockings are used to apply pressure to the lower legs, thus helping to reduce swelling and discomfort by maintaining the flow of blood to those areas. They are often prescribe by GPs for conditions such as varicose veins. They can be found in a range of sizes and fits. Phil Medical Supplies have a range of compression stockings available on their website above. 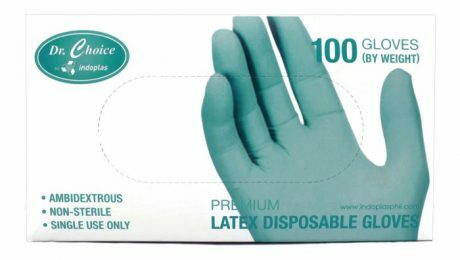 Latex gloves are a particularly common item used by healthcare professionals and others who require some form of protection and hygiene when working or interacting with certain substances. They are available in both sterile and non-sterile forms, dependant on individual requirements. Micropore tape is another product found in healthcare facilities and other places where bandages and other skin coverings are applied. Micropore tape is highly adhesive, yet easily removed without leaving much residue, giving it an advantage over some other tapes. Castor Oil is a very useful thing to have around the home, with a wide range of uses and applications. The oil itself is obtained by squeezing the leaves of the Castor oil plant. Amongst the medical uses for Castor oil, it is a popular laxative. It is also an ingredient in a range of medicines. Adult diapers are another of the products available from Phil Medical Supplies. Adult diapers are worn by those who suffer from a range of conditions, including incontinence, mobility impairment, severe diarrhea and dementia. They come in a range of styles, including underpants, pads and styles similar to baby diapers. Sterile gauze pads are available in a range of sizes. They are useful for helping to stem excessive bleeding, as well as being used for applying medicines, ointments and other liquids. They are also used to protect fresh wounds or cuts. The above items are commonly found in most healthcare facilities, as well as in the homes of individuals with specific needs. If you would like to know more about any of the above products, or have any other medical supplies needs, visit Philippine Medical Supplies. For medical practitioners and professionals, there are a wide range of pieces of stethoscope equipment needed. Some of this equipment can, of course, be highly specialised and for use in very particular situations, whilst others can be more general in use. Phil Medical Supplies has an extensive range of medical supplies and equipment available. A spygmomanometer is a blood pressure monitor which is one of the basic pieces of equipment used by healthcare professionals. It is used to measure blood pressure by attaching a rubber cuff to the arm and then connecting this to a graduated scale, allowing accurate measurement of blood pressure within the rubber cuff. The Omron Digital Blood Pressure Monitor is a device which provides simple and accurate blood pressure readings at the push of a button. This particular device can store up to 60 historic readings, including dates and times. As well as measuring blood pressure, it can identify hypertension and irregular heartbeat during the test. The stethoscope is another of the basic pieces of equipment used by healthcare professionals. These particular items come in a wide range of prices and functions, with Phil Medical Supplies having an extensive range to suit all applications. A stethoscope is a device used to listen to the internal organs, particularly the lungs and the heart. It can also be used to listen to blood flow in arteries and veins. Thermometer are a basic piece of equipment used in the healthcare industry. The range of thermometers is extensive, as are the uses. They can be digital, infra-red, manual reading and for use in different parts of the body, including ear-type thermometers. Non-contact forehead thermometers are also available. Thermometers can also be used to measure room temperature and the temperature in refrigerators and freezers. Pulse oximeters, used to measure the levels of oxygen saturation in the blood, are alternatives to blood tests. They also measure heart rate. They are available in both finger type and wrist type. They are portable devices, making them convenient to use for healthcare professionals. The above represents just a small selection of the various pieces of equipment used by healthcare professionals. If you would like to know more about what is available, please visit Phil Medical Supplies. Medical Equipment – Hospital Bed, Commode Chair and Egg Mattress. There are a number of types of specialist equipment required in the healthcare industry. Possibly one of the most important would be the hospital bed itself. 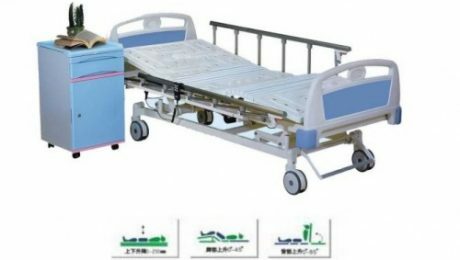 Due to the amount of time patients spend in bed, and the amount of times healthcare workers need to interact with hospital beds, the requirement for such beds to be suitable for their purpose is high. The bed itself needs to be fully adjustable, with individual head and foot adjustment also required. The side rails also have to be fully adjustable to ensure patients can be easily and safely managed in and out of bed as required. Portability is another important consideration. Aside from the bed itself, the mattress is an other important piece of equipment. The egg mattress, so called due to its resemblance to an egg carton or box, is popular with doctors due to its design which can reduce the likelihood of ulcers and sores as well as increasing patient comfort by allowing good airflow. Many doctors encourage patients to continue using such mattresses after they return home due to their effectiveness. Another type of mattress popular within the sector is the anti bed sore mattress. Bed sores, or pressure sores, are skin injuries caused by pressure on the skin after extended periods of time in bed. Anti bed sore mattresses are effective at reducing the likelihood of the occurrence of bed sores. Commode chairs are another key item of equipment within the healthcare industry. Many patients are debilitated and unable to use toilet facilities by themselves. A commode chair enables patients to go to the toilet even if their mobility is heavily restricted. The chair must be portable, hygienic and comfortable as priorities. The toilet bowl itself should be removable for easy cleaning. Bedside tables are another common feature in healthcare facilities. These can be the over the bed style or the beside the bed style. As well as helping patients with eating or drinking, they are used for storage of private possessions and other items. As with many pieces of medical equipment, they should be portable, durable and flexible for a variety of uses and users. Another piece of equipment often found in healthcare facilities is a baby bassinet stand. On maternity wards and in the homes of new-born babies, these stands offer great flexibility for placing cribs, carriers and other similar equipment. The medical supplies industry caters for both public and private institutions, as well as individuals. Phil Medical Supplies have an extensive range of all the different kinds of supplies and equipment needed by those in the healthcare industry as well as individuals who require such specialist items. The above equipment, as well as a wide selection of other medical supplies, can be found at Philippine Medical Supplies. In the field of healthcare, simulation refers to activities involving the use of a real clinical environment often with a real hospital bed designed to promote critical thinking and decision-making among care workers. Simulation also enables educators to provide feedback, as well as control the environment around which their training takes place. Simulating patients by means of role play between educators and learners is very common not only in medical education, but also in nursing education. Students are typically paired and placed in a training room equipped with medical tools and materials like a dissecting set, a tourniquet, etc. Students are taught how to do patient assessments, history taking, and communicating with other care workers. These simulators are created to model different components of human physiology, environments, and even nursing tasks. Students use various computer programs to observe the possible results of their clinical decisions. Typically, there is feedback during and following the interaction. This method is popular because it is inexpensive, since no equipment is needed. Students don’t have to wear a lab gown and gloves latex during the training as well. Integrated simulators make use of both computer technology and mannequins so learners can have a more realistic kind of training. This type of simulation is very useful as it takes advantage of modern computer technology while at the same time giving students a feel of the real environmental setting. This is one of the latest technological advances in the field of medical and nursing education. These simulators are interactive mannequins designed to offer realistic physiological responses, such as heart sounds, respirations, urinary output, breath sounds, and even pupil reaction. The mannequins can even communicate with students. For instance, they answer basic questions students my ask while applying a micropore tape on the mannequin. Simulation training among nursing is a recommended strategy aimed at preventing errors and poor decisions in the clinical setting. Nursing students are able to learn how they should respond in various situations, so that when they find themselves in the same actual scenario, they will know what to do. Through a structured simulation training, students also learn to see medical tools such as a dissecting set as not just a piece of equipment, but a tool that can be used for saving lives. A first aid kit is a necessity in any environment, especially in an office where there are a lot of people working together. Workers do a variety of tasks at the same time, which makes missteps inevitable and injuries always possible. Accidents are unforeseeable and inevitable, but there are many ways we can be ready for them. Having a first aid kit in the workplace is a must to ensure that in case of emergencies, there’s something everyone can run to that can save lives. Nobody can predict what may happen. The unpredictable nature of accidents is a big factor that justifies why first aid kits including a nebulizer are a necessity in the workplace, especially in those with a higher risk of injury (eg. factories, warehouses, etc.). According to studies, first aid used for industrial accidents are very effective in reducing fatal injuries in the workplace by preventing negative consequences until medical help arrives. It is a legal responsibility. In almost all countries and across all industries, it is a legal requirement for employers to place first aid kits in their workplaces. This is not just for the sake of their own employees, but for anyone who may be in the vicinity. We should consider that natural disasters like earthquakes do not choose who their targets will be. Disasters may happen anytime, and if we are not prepared, many will lose their lives. This is the reason why many companies even have a spine board in their first aid room. It is more than just preparing for emergencies. Can you imagine how your employees will feel knowing that there is a first aid kit or even an OB bag set in your stockroom? Not many employers know it but this has a positive psychological effect on employees. Having tools and supplies around that are meant to take care of people during emergency situations or calamities can make them feel reassured and well taken care of. More importantly, this is a sign that you care about the wellbeing and safety of your workers. Philippine Medical Supplies is where you can find not only a reliable colostomy bag or a drug testing kit. 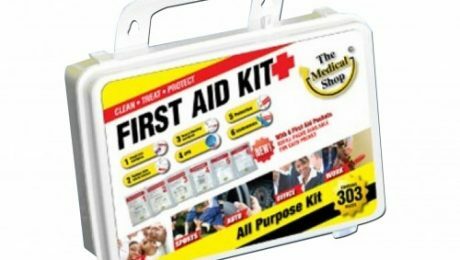 Here you can find everything you need to put in your office’s first aid kit that will reassure your workers’ safety.